It is appropriate to choose the appropriate company structure for the goals of your business. The key to making the right choice requires a better understanding of the capabilities and limitations of each type of company, with a clear-eyed assessment of your business goals and current financial capacity. The 2 most common company types in Japan are the Kabushiki Kaisha (KK) and the Godo Kaisha (GK) because of the limited liability protection it provides its shareholders. By comparison, the KK is far more common than the GK, comprising about 80% of all registered companies. Still, it’s important to remember that one is not “better” than the other—there are advantages and disadvantages to consider for both types. The KK, or joint stock company, is the structural equivalent to the American C Corporation. 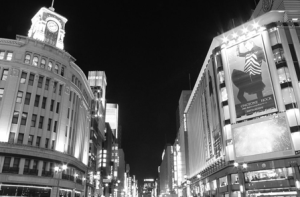 As the predominant type of corporation in Japan, it commands a perception of prestige from customers, employees, and the business community at large. The KK protects shareholders from personal liability, and has the capability to raise additional capital through a variety of ways (selling shares, stock options, etc.). There is a clear organizational distinction between ownership (shareholders) and management (directors), though it is possible to be a shareholder and director at the same time. All KKs must have at least one representative director, and this person can be a resident or non-resident. KKs are the most expensive type of company to register, and must meet more strict requirements than its LLC counterpart. Its organization is scalable, and can accommodate most companies of varying sizes. The KK designation is most appropriate for medium to large companies; but many small or “one-man” businesses can choose to incorporate as a KK if the image of a KK is preferred. 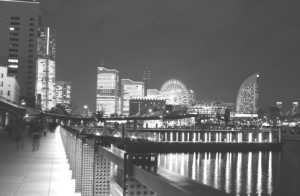 Because KKs are held in high esteem in Japan, depending on the industry it can be easier to attract local new customers and business partners for growing your business. Most locals prefer to work for KK companies, which is helpful for attracting the best native employees. KKs are also more amenable to expansion, since stock companies can attract additional outside investors in the public stock market. The Godo Kaisha (GK) is the Japanese term for the Limited Liability Company (LLC). Unlike the KK, the GK is of recent vintage, only coming into legal existence in 2006. Like the KK, GKs provide limited liability protection for its shareholders, making it an ideal structure for small business owners who want legal protection for their personal assets. The registration process for GKs is comparably simpler and less expensive compared to KKs. GKs are not required to submit Articles of Incorporation, establish a board of directors, or hold member meetings. 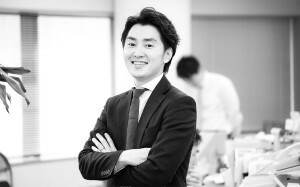 Unlike the KK, the GK cannot be listed in the Japanese stock exchange; it cannot sell shares or issue stock options, which limits the ability of raising additional capital for business operations. There is also no organizational separation between ownership (shareholders) and management (directors)—in contrast to KK investors, GK investors are legally considered partners, who help run the company. Investment amount is not proportionate to authority in a GK, which may be disadvantageous in the case future outside investment is desired. GK incorporation is generally more appropriate for small to medium companies, though there are a few major American subsidiaries that are registered as GK. GKs are not as well known as KKs, which may hinder the company’s chances of attracting new customers or acquiring employees, but this image is slowly changing. While it is possible to change your company registration from GK to KK later, or KK to GK down the road, it can be a long and expensive process. This is why it is always a good idea to seriously weigh the costs and benefits of each option before making your final decision. Description Stock Company Japanese version of the Limited Liability Corporation (LLC). Advantages Established reputation, trusted by Japanese customers, business partners, and employees, more scalable Less expensive to incorporate, has most of the same legal protections as the KK. Can be a considered a pass through entity for US parent investors. Investment amount for member is not proportionate to authority. Liability Limited to the amount of the shareholder’s equity investment. Limited to the amount of the shareholder’s equity investment. 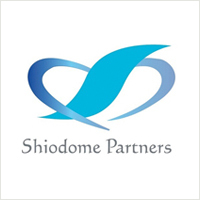 If you are looking to start a company in Japan and need expert assistance with the incorporation process, you can request a consultation with Shiodome Partners Group by contacting us at inquiry@shiodome.co.jp, calling our Tokyo office at 03-6228-5505 (+81), or by submitting a Contact Request Form at your convenience.